well. i kinda blew it on my 2014 "read a book a month" goal. i started the motorcycle diaries on the plane to denmark at the beginning of may and read most of it (and loved it), but then life got the better of me and i didn't get make another chance to finish it until last weekend when i had a minute to lay out by the pool and read. which i guess already kinda explains how i felt about this book. i absolutely loved it while i was reading it, but it's not exactly the page-turner that you can't put down once you've started. but when i was reading it, i soaked up every word and just basked in every glorious feeling it gave me. and thought seriously about what it would take for me and nicolaus to quit real life for awhile and travel across south america on motorcycle. ha, but seriously, it will speak to every aching, wanderlust bone in your body. "this is not a story of heroic feats, or merely the narrative of a cynic; at least i do not mean it to be. it is a glimpse of two lives running parallel for a time, with similar hopes and convergent dreams." 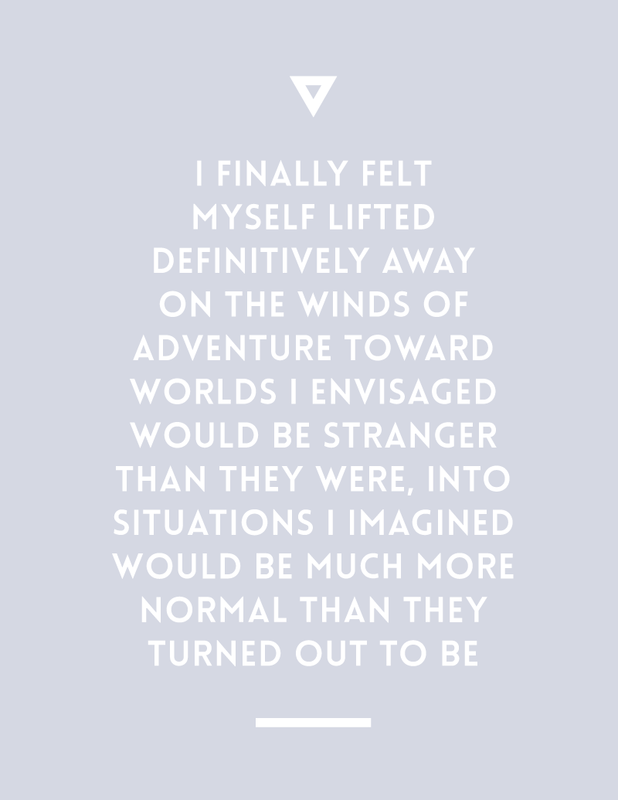 "i finally felt myself lifted definitively away on the winds of adventure toward worlds i envisaged would be stranger than they were, into situations i imagined would be much more normal than they turned out to be." "the first commandment for every good explorer is that an expedition has two points: the point of departure and the point of arrival. if your intention is to make the second theoretical point coincide with the actual point of arrival, don't think about the means - because the journey is a virtual spacee that finishes when it finished, and there are as many means as there are different ways of 'finishing.' that is to say, the means are endless." "all night, after the exhausting games of canasta, we would look over the immense sea, full of white-flecked and green reflections, the two of us leaning side by side on the railing, each of us far away, flying in his own aircraft to the stratospheric regions of his own dreams. there we understood that our vocation, our true vocation, was to move for eternity along the roads and seas of the world. always curious, looking into everything that came before our eyes, sniffing out each corner but only ever faintly - not setting down roots in any land or staying long enough to see the substratum of things the outer limits would suffice." p.s. and has anyone out there seen the movie and would you recommend it?? i really want to watch it now! Ohh I'm going to have to read this! & perhaps the book club should happen for reals this time haha.